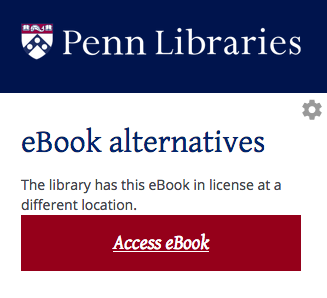 The Lean Library Access browser extension from Lean Library allows you to easily access Penn Libraries' licensed content from your laptop or desktop computer when off-campus. Once installed, when you land on content licensed by Penn Libraries, the extension icon will turn from grey to green letting you know that, as a member of the Penn community, you have access to that content. Connect to the Library: Clicking on the green Library Access icon will display a pop-up window that provides information on how to access the content. 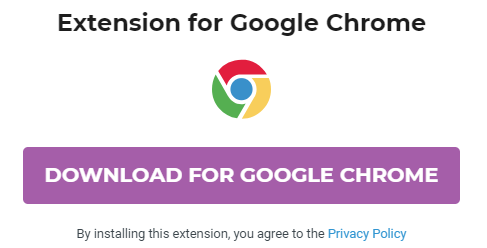 Depending on the extension settings and other factors, the pop-up window might appear automatically. You will then be prompted to login in with your PennKey and password. Once you have logged in, access to additional publications should be seamless. 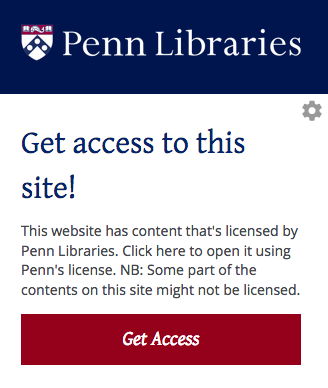 Content not licensed: For content that the Penn Libraries does not license, the extension will also automatically use an available Digital Object Identifier (DOI) to check unpaywall for a free, open-access versions. (See more on unpaywall sources). 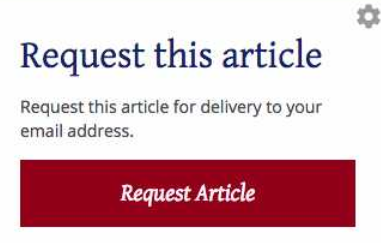 Also when appropriate, a pop-up will appear that guides you to make an Interlibrary loan request through the Penn Libraries, if you wish. Search engine integrations: When you use Google Scholar or PubMed, Lean Library will enable direct PennText links in the search results. Through the PennText links, you can check for access to electronic and print holdings. To use Lean Library Access, all you have to do is add the extension to your favorite browser. These browsers and versions are supported: Google Chrome (version 62+); Firefox (version 56+), Apple Safari (up to version 2.12), Opera (version 51+), and Microsoft Edge. The extension for Opera needs to be manually updated; for other browsers the update process is automatic. Please note that the Lean Library extension does not support mobile devices. 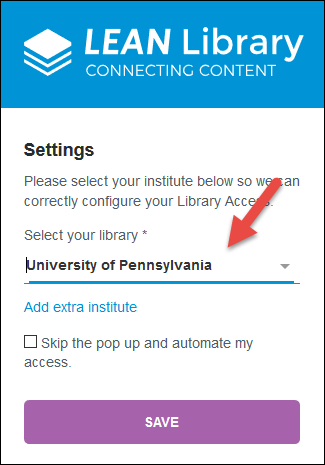 If you are affiliated with multiple institutions that subscribe to Library Access, you can select more than one library listed in the pull down menu. Choose whether or not to skip pop-ups when accessing licensed materials. As the Library may provide customized information in the pop-up, we recommend leaving the box unchecked. Click Save. You will see this confirmation message and you are ready to use Library Access.